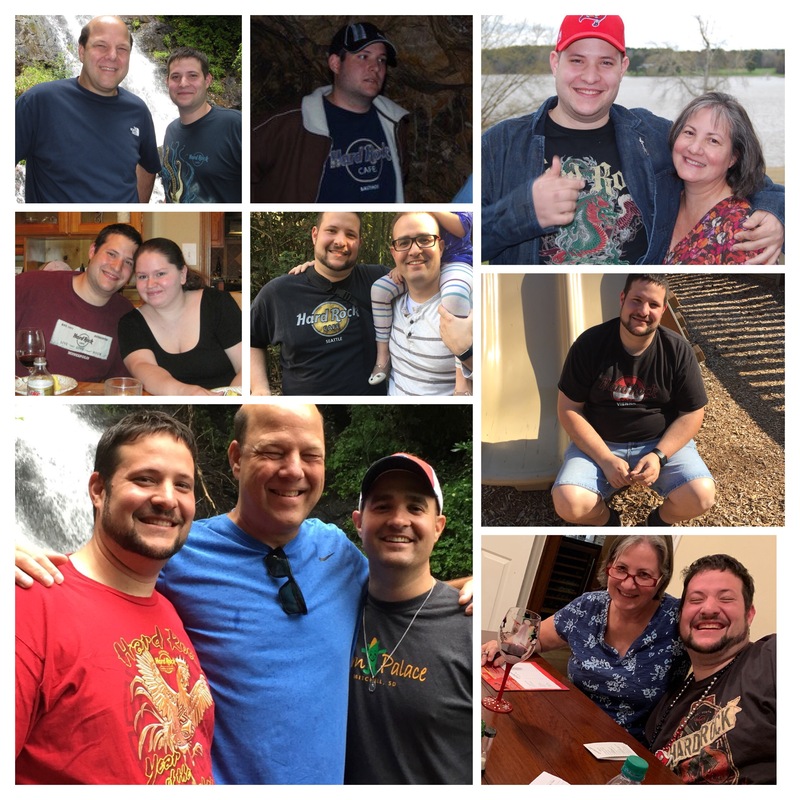 Adam’s Birthday was Monday – I can’t belive my baby is 34! I got a card mailed and spoke with him to wish him happy birthday on Monday but I didn’t get his birthday collage made … I kept looking at photos of him but no particular theme came to mind and then tonight I realized how many photos he’s wearing one of his Hard Rock t-shirts in! I’ll let his birthday collage be a reminder that this is the year I’m supposed to make his t-shirt quilt! Happy Birthday Adam, hope it’s a good one. (He’s very handsome Mary). Great pictures. You better get crackin’ on that quilt! Glad there is something that lights up his life like Hard Rock t-shirts. Happy belated birthday Adam. I started to read this and wondered as I was reading, did I send this out, but I kept reading and what a surprise. My son Adam would also have been 34, but passed away on March 18. Be very happy and joyful for your son, Adam is having a birthday.